Welcome to Reaching Eden episode 11, we call her Elle for short! Or maybe I’ve been binging too much Stranger Things. We’re very excited for this episode, because we have our first true guest on the podcast this week! Dave Stanley, the developer behind dungeon crawler with a twist, Skelattack, joins us in our virtual studio to discuss development, inspiration, and the games we are playing lately! Dave fills us in on the progress leading up to his January release of Skelattack. We also talk about our recent UI redesign for Gears of Eden, which you can read more about on our Patreon site. Our inspiration this week includes our new rover model, Ken Levine on “Getting In”, some eye-opening AI news, and that unforgettable pottery scene from Ghost. Dave fills us in on his inspiration this week, which includes the streaming community, GameJolt, and Skelattack being featured in PC Gamer! Finally, we wrap things up with a discussion on the games we’ve played lately: BeamNG, Deus Ex: Mankind Divided, The Last Guardian, and Super Mario Maker. 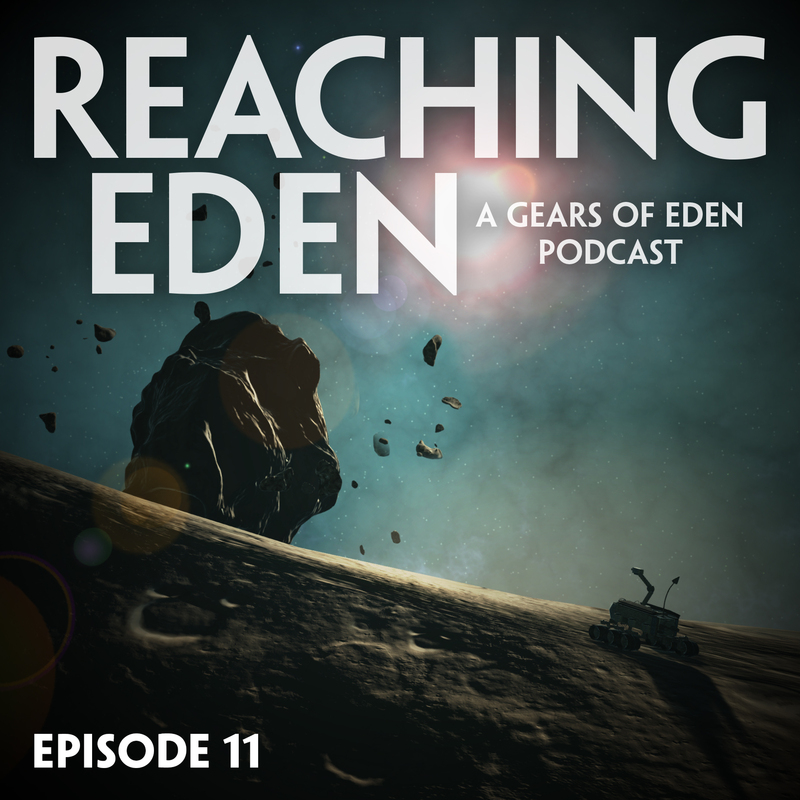 Reaching Eden is a podcast from the development team behind Gears of Eden-a space game where you play as a sentient machine in search of answers to your mysterious past as you explore a mechanical civilization. Find out more at www.GearsOfEden.com We hope you enjoy the show. Please leave a review, comment, or connect with us on Twitter or Facebook. If you enjoy this podcast, please consider supporting future episodes by joining our Patreon as a subscriber! Thank you! Dev Update #88: Alpha 2.1 – It’s Time To Explore!